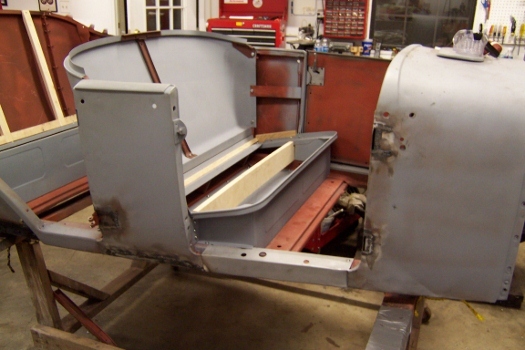 I am rebuilding a 1927 Ford Touring. I have what are supposed to be new seat springs. I installed the oak strips above the front and rear seats. I'm not sure how the upholstery should attach. and if there is any wood under or in back of the seats. 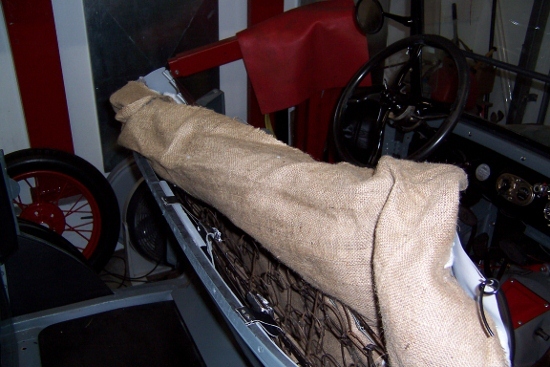 Anyone have any pictures of how the springs and upholstery attach on my 1927 touring. Gordon - I'm going to ask for a free ride on your thread. I need the same things for a 1927 Runabout. 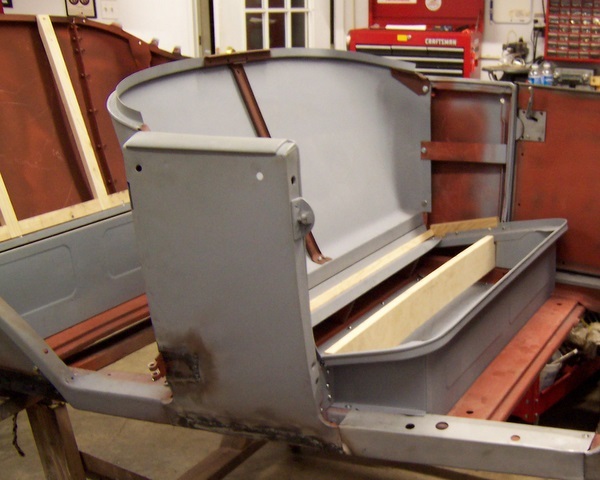 For the Improved Car touring body, the wood is used in the rear backrest, and a wood stringer in the tool compartment, along with wood tack strips around the top of the seat base. 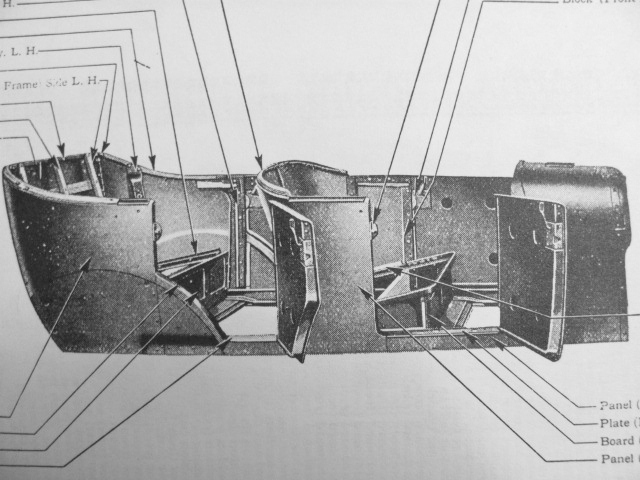 There is no wood used in the front backrest, the backrest spring hangs from the tack strip around the top of the body. 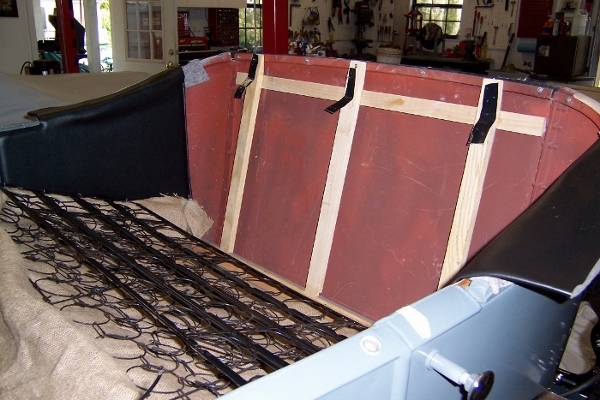 A wood stringer is used in the front seat tool box to support the seat spring. 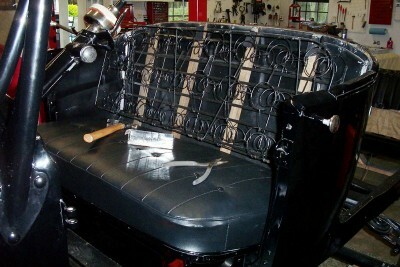 The front seat backrest uses metal reinforcement only, no wood structure in the front seat backrest. 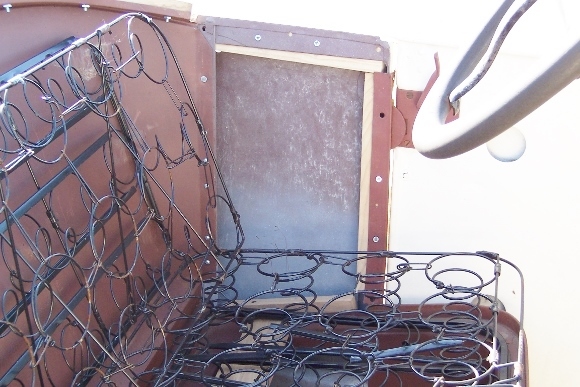 This is the front seat backrest being covered with upholstery, the spring hangs from loops of material tacked to the top edge of the backrest tack strip. 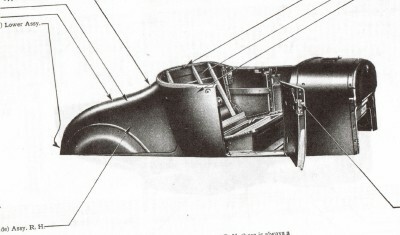 The runabout body is different, as with only one seat, the backrest has wood stringers.